Till now everyone is familiar with YouTube's new video player, where YouTube have replaced the adobe player with the new HTML5 player. This new look of the Player looks clean, and its UI is also very much mertro style. Till yet we have seen that YouTube supports 4K video which is of 2160p, but now watching videos YouTube will gives more real taste, as YouTube started supporting 8k Videos which is of 4320pixel. 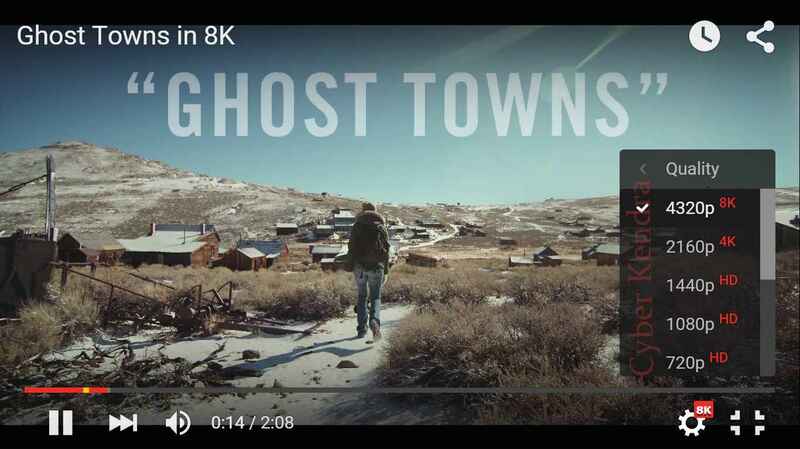 We haven't seen any updates from the YouTube side, but you can see the 8K videos on YouTube. I have check video in 3G Network and 4 MBps Broadband line, It took's about 30-40 seconds to buffer the video of 10 seconds. Another thing is that, video doesn't play smoothly, as my desktop screen didn't supports 4320P video. The video quality of 8K videos is really amazing, and there are less numbers of videos that are available in 8K (4320p). Below you can find some of the videos links which are having 8K resolution.